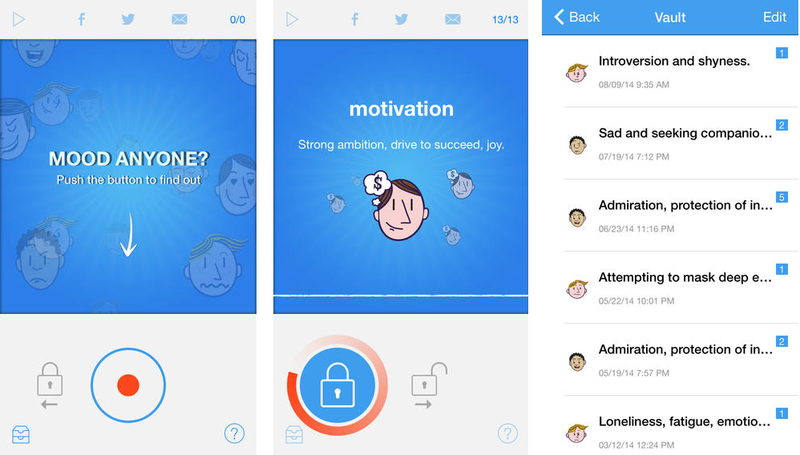 Beyond Verbal, the company that specializes in extracting the meaning behind a tone of voice, has launched its Moodies Web app as a standalone download for iOS. The app, which is based on the same Emotion Analytics engine used for the demo Web app on Beyond Verbal’s homepage, can extract, decode, and measure “a full spectrum of human emotions” in real-time just by listening to a person talking. Obviously, better understanding exactly how you come across and what mood people around you are in can help you to tailor your interactions, should you wish. Unlike the Web app, however, Moodies can run continuously – supplying fresh emotion analysis every 15-20 seconds. It also offers a Vault feature that allows for tracking and sharing of a previously recorded analysis, playback functionality, and pause/resume capabilities, among other functionality. However, beyond all the added extra features, putting Moodies on a mobile device makes it immediately accessible to anyone with an iOS device – allowing users to make the most of it wherever they go and giving immediate feedback on how they might be coming across to the world. The responses draw upon “18 years of research by physicists and neuropsychologists, who studied more than 70,000 test subjects in more than 30 languages”, the team say, and will allow users to understand the mood, attitude and decision-making characteristics of people around them. All this at the click of a button. But why would you want to use it? “We believe that emotions understanding can dramatically alter the way we interact with machines and with each other. Allowing a machine to understand – what is for every practical purpose – the most important medium in human communications opens up boundless opportunities. From HR and recruiting, to advertising, to content selection, to automotive safety, to call centers, to marketing research, to wellness and coaching – all can benefit from understanding the emotional interface of our communications,” Dan Emodi, Beyond Verbal’s VP of Marketing, told TNW. We need to introduce our technology not just to potential partners, business development executives and application developers but also to the public at large. We believe that every disruptive technology needs grass root enthusiasm to flourish. Having worked on perfecting our engine for the last few years we believe the time was right to get it out of the protective lab environment and into the hands of every smartphone holder. The app is currently available only as an iOS download, but the company’s main business is licensing the technology for others to integrate – as such, there will soon be other apps available on the Google Play store that use the same Emotion Analytics engine.